If you live in Laval, Book With Us Your Next Limousine Service! Limousine Laval has Laval residents as our number one customers and our limousines cater to Laval and all surrounding areas. In our Laval location, we offer lavalers the best service they can get at a prompt speed and we always deliver quality. Our Laval limo service is the best high end quality and luxury service in the area and we offer unbeatable prices. Our limousines are usually parked close in Laval and we make sure customers can have access to any and all our fleet if they need to see what limos we can offer. Once you book a rental with us, you will know why our customers keep coming back to us and give us the best review in the market. Take a look at our testimonials and see why people prefer our services! Laval is a booming town in Quebec and more families and couples are moving there due to the high demand and reasonable housing prices. Most new couples and families are happy living there as it provides all the amenities, restaurants, clubs and activities without the hassle of being in a small space and expensive cost of living. Laval is the number one choice for most people, and with this in mind, we made sure to cater to our Laval customer and have our Laval limousine branch available for all our customer 24 hours 7 days a week. Outstanding Service. Our services are the best and you will be surprised how we handle VIP customers. Variety of Fleet choices: With all the variety of limo choices, we consider ourselves the best and most luxurious company in the market. Limousine rentals for Laval: All our limousines are catered specifically to the area surrounding Laval and Montreal. Laval is the place to be: Since nowadays Laval is the place to be with all its hip clubs and restaurants and surrounding beauty, it is definitely a place to consider when renting a limousine. Best Rental Prices: No need to look around as we have provided the most competitive and affordable prices in the industry. Traffic Alert: Heading to Montreal or the airport ? Then you dont need to worry anymore about traffic as we have what it needs to get around it and find the best route for you to go where you want to go hassle free. 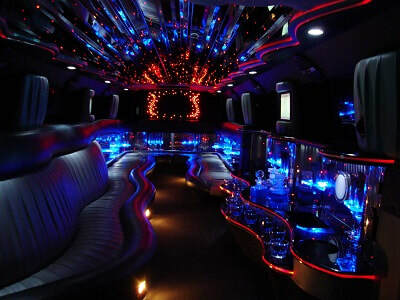 Luxury and Fun Limos: That what we are known for, luxury and fun limousines to provide you the best time you will have. If you are in Laval and surrounding areas, and need a Limousine make sure to call us at any time of the day. If you live in Montreal, South Shore, Laval or any Greater Montreal Quebec areas check out our Limousine Montreal services, we are more than pleased to provide you with the best prices, the best service, the most luxurious Limousines and the ride of your life!